Trust occupies a unique place in contemporary discourse. Seen as both necessary and virtuous, it is variously depicted as enhancing the social fabric, lowering crime rates, increasing happiness, and generating prosperity. It allows for complex political systems, permits human communication, underpins financial instruments and economic institutions, and generally holds society together. Against these overwhelmingly laudable qualities, mistrust often goes unnoticed as a positive social phenomenon, treated as little more than a corrosive absence, a mere negative of trust itself. 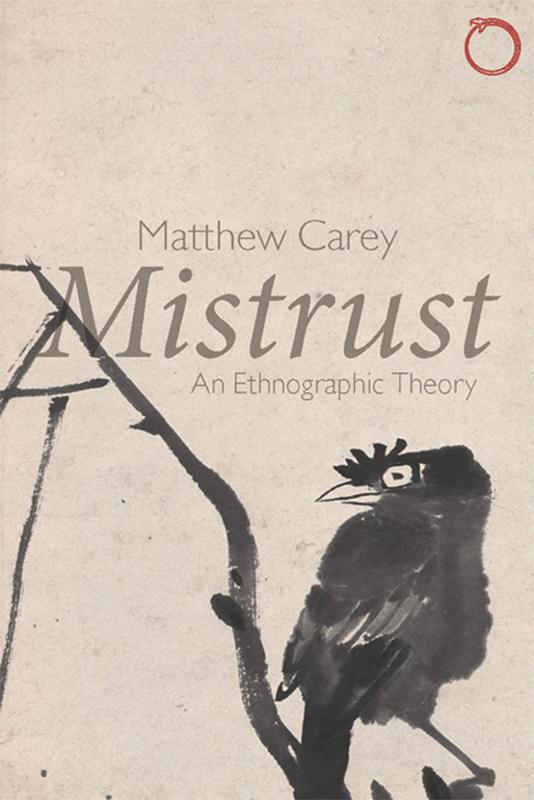 With this book, Matthew Carey proposes an ethnographic and conceptual exploration of mistrust that raises it up as legitimate stance in its own right. While mistrust can quickly ruin relationships and even dissolve extensive social ties, Carey shows that it might have other values. Drawing on fieldwork in Morocco’s High Atlas Mountains as well as comparative material from regions stretching from Eastern Europe to Melanesia, he examines the impact of mistrust on practices of conversation and communication, friendship and society, and politics and cooperation. In doing so, he demonstrates that trust is not the only basis for organizing human society and cooperating with others. The result is a provocative but enlightening work that makes us rethink social issues such as suspicion, doubt, and uncertainty. "Carey’s book poses an important and provocative question: what happens to our descriptions of sociality when we move mistrust to the foreground and trust to the background? Can mistrust be the founding stone of a positive sociality rather than its failure? The author addresses this theoretical question through a witty and lively exploration of ethnographic vignettes, extracted from his own fieldwork in the Moroccan High Atlas Mountains. A highly original short book." "The last thirty years have seen the publication of huge numbers of books exploring trust, but most of these remained blind to the critical role played by mistrust in everyday social relations. This seminal work by Matthew Carey fills this gap. Based on rigorous ethnographic fieldwork, his book reveals itself to be little short of a general treatise of sociology—one that will be invaluable to the academic community." "Matthew Carey situates a subtle ethnography of the High Atlas in relation to far reaching debates on mistrust, and in doing so brings fresh and provocative insights to theories of veracity, intention, friendship, tolerance, conspiracy, and witchcraft. This is a beautifully written and important book that opens up a new field of enquiry, the 'mistrusting imagination.' "
"This is a work of startling originality, written with admirable clarity and discernment. Speaking with ease to the concerns of a wide range of disciplines, Mistrust is a model of how careful thought and hard-won ethnographic experience should work together."